Drawing; signed, dated and titled. 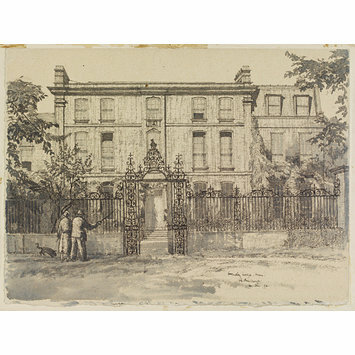 Architectural study of Ormeley Lodge, a fine early 18th-century house with ornamental wrought-iron gates and railings. 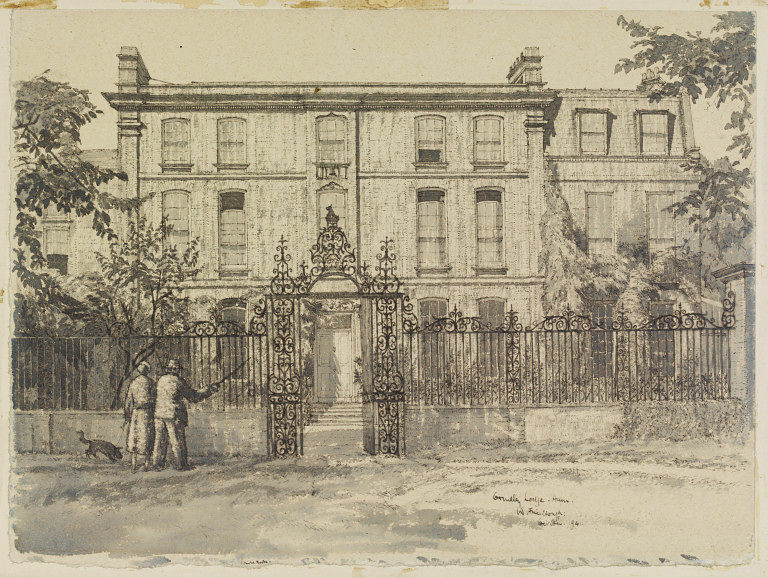 Orneley Lodge, Ham Common (Recording Britain, Surrey). Palmer, Arnold, ed. Recording Britain. London: Oxford University Press, 1946-49. Vol 1: London and Middlesex, Surrey, Berkshire, Buckinghamshire, Hertfordshire, Bedfordshire. pp.96-97, illus.